During their historic summit in June, Trump and Kim agreed to work towards the “complete denuclearization” of the Korean Peninsula. “President Trump remains upbeat about the prospects of denuclearization of North Korea (DPRK). So do I, as progress is happening,” said the top US diplomat. “It is the Trump administration’s hope that one day the DPRK could be in our midst here at the UN,” he was cited as saying by Xinhua news agency. “The countries of the Security Council are united on the need for final, fully verified denuclearization of North Korea, as agreed to by Chairman Kim Jong-un. 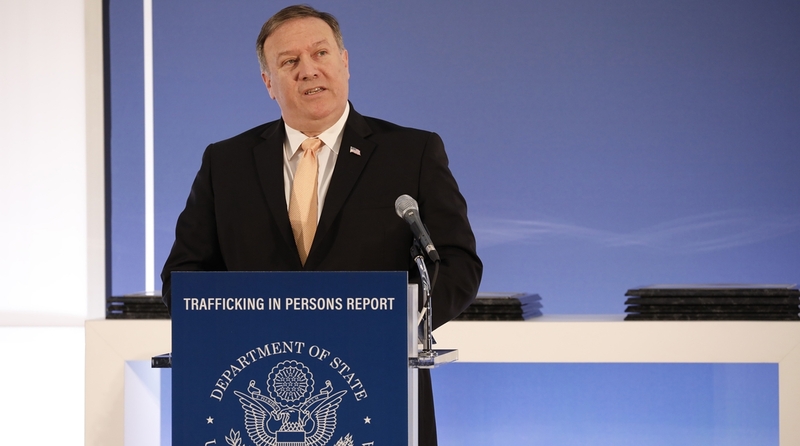 Strict enforcement of sanctions is critical to our achieving this goal,” said Pompeo, who was accompanied by US Ambassador to the UN Nikki Haley. Despite progress made with Trump and Kim’s historic meeting in Singapore, uncertainties remain regarding the Korean Peninsula. Washington is still exerting great pressure on Pyongyang even after the latter dismantled some of its nuclear facilities.